You are here: Home / Money / Business / U.S. vs Canada vs Politics Of Trade Tariffs. U.S. vs Canada vs Politics Of Trade Tariffs. (ThyBlackMan.com) The Canadian government, lining the pockets of its dairy producers, imposes high tariffs on American dairy imports. That forces Canadians to pay higher prices for dairy products. For example, Canadians pay $5.24 for a 10.5-ounce block of cheddar. In Washington, D.C., that same amount of cheddar sells for $3.64. Canadians pay $3.99 for a 1-pound container of yogurt. In Washington, D.C., you can get nearly twice as much yogurt for a little over $4. It’s clear that the Canadian government’s tariffs screw its citizens by forcing them to pay higher prices for dairy products. What should the U.S. response be to Canada’s screwing its citizens? If you were in the Trump administration, you might propose imposing tariffs on soft wood products that Americans import from Canada — in other words, retaliate against Canada by screwing American citizens. Canadian lumber — such as that from pine, spruce and fir trees — is used in U.S. homebuilding. Guess what tariffs on Canadian lumber do to home prices. If you answered that they raise the cost and American homebuyers are forced to pay higher prices, go to the head of the class. The ruse used to promote producer interests through tariff policy is concern about our large trade deficit. It’s true that we have a large current account trade deficit. However, that’s matched exactly by a very large capital account surplus. Translated, that means Americans buy more goods from other countries than they buy from us; that’s our current account deficit. But other countries find our investment climate attractive and invest more in the U.S. than we invest in other countries; that’s our capital account surplus. Have you ever wondered why foreigners are willing to invest far more money in Texas and California than they are willing to invest in Argentina and Venezuela? Do you think it’s because they like North Americans better than they like South Americans? No. We’ve always had an attractive investment climate, and we’ve had current account deficits and capital account surpluses throughout most of our nation’s history. In fact, the only time we had a sustained current account trade surplus was during the Great Depression, when we had a surplus in nine out of 10 years, with 1936 being the lone exception. 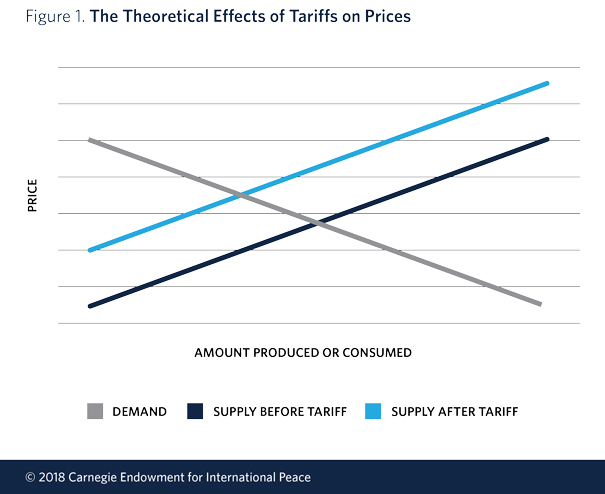 Let’s delve a bit into the politics of trade tariffs. Whom do we see spending the most resources lobbying for tariffs on foreign steel and aluminum? Is it American users of steel and aluminum, such as Harley-Davidson and John Deere? Or is it United States Steel Corp. and Alcoa? Of course it’s U.S. Steel and Alcoa. 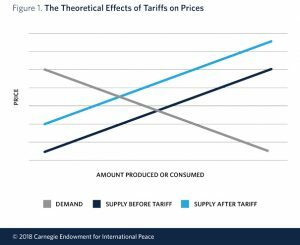 They benefit from tariffs by being able to sell their products at higher prices. Harley-Davidson and John Deere lose by having to pay higher prices for their inputs, steel and aluminum, and their customers lose by having to pay higher product prices. There’s a lot of nonsense talk about international trade, which some define as one country’s trading with another. When an American purchases a Mercedes, it does not represent the U.S. Congress’ trading with the German Bundestag. It represents an American citizen’s engaging in peaceable, voluntary exchange, through intermediaries, with a German auto producer. When voluntary exchange occurs, it means that both parties are better off in their own estimation — not Trump’s estimation or General Motors’ estimation. I’d like to hear the moral case for third-party interference with such an exchange.